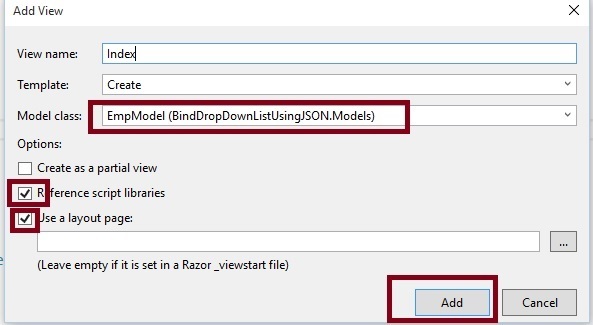 Many times we need to bind the strongly typed DropDownList using JSON data in ASP.NET MVC . So by considering above requirement I have decided to write this article . 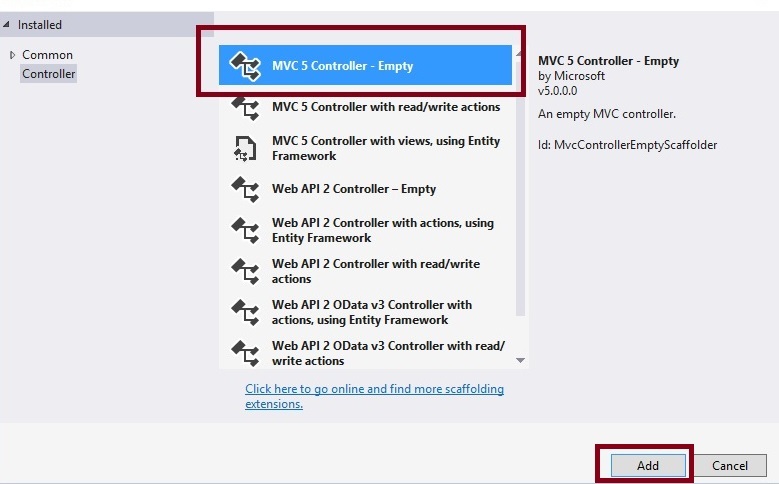 Let us learn it step by step through creating a simple MVC application. Step 3: Add controller class. In the above we have created two action methods one is return view named Index and another one will return json result named CityList. Remember that instead of going to the database I have created a list of records and return it as json. However you can bind this list from database but in this example assume that this list is coming from database. After clicking on add button the view generated. To call the CityList json action method, create the following jQuery Ajax function. To work the above function properly we need the following jQuery file to be referenced at the top of the view or in layout page. In the preceding screenshot you have seen that drop down list records are populated from json data. 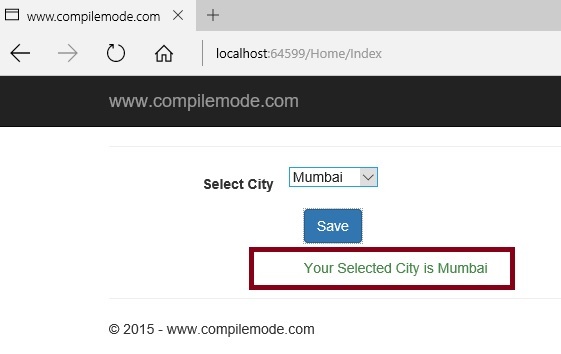 Now select any city from drop down list records and click on save button, it will show the following output. 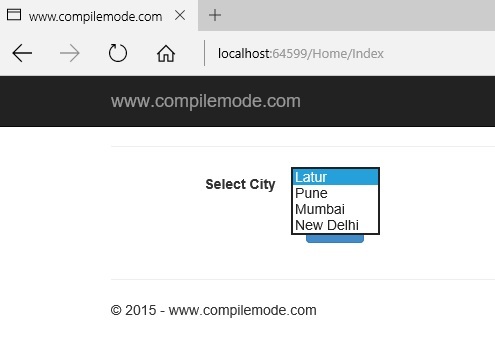 From all the above examples, I hope you have learned how to bind strongly typed dropdownlist using JSON data in ASP.NET MVC .